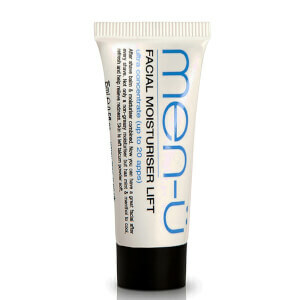 men-ü Buddy Facial Moisturiser Lift Tube is a two-in-one aftershave balm and moisturiser to relieve redness. 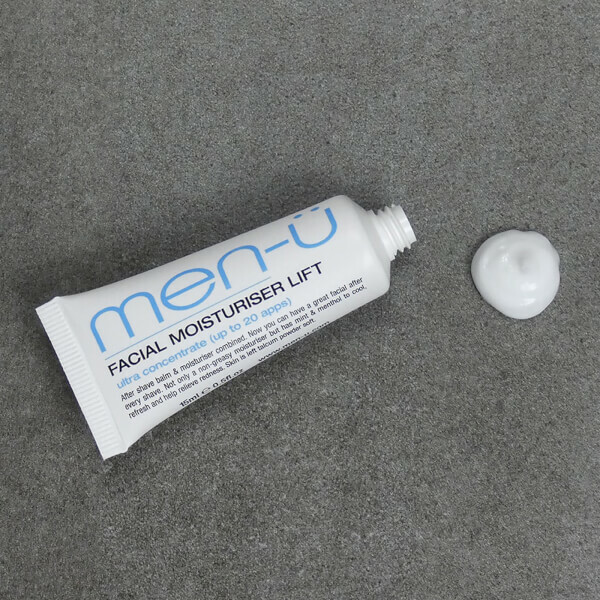 The non-greasy treatment soothes and smoothens skin, leaving it with a cooling mint and menthol fragrance. Suitable for use on the face after a bath or shower, or as a face wash when you need a refreshing boost. 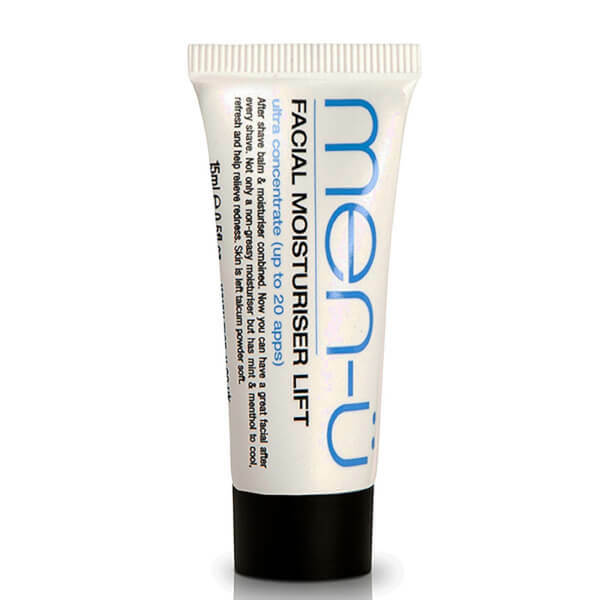 The buddy-sized tube is ideal for the man on-the-move. Towel dry the face after washing and rinsing. Apply a large pea sized amount into palms and apply to the face and neck area. Avoid contact with eyes. Aqua (Water), Stearic Acid, Paraffinum Liquidum, Cetyl Alcohol, Glyceryl Stearate, Glycerin, PEG-30 Stearate, Dimethicone, Phenoxyethanol, Octyl Palmitate, Menthyl Lactate, Parfum, Tocopheryl Acetate, Methylparaben, Menthol, Xanthan Gum, Aloe Barbadensis Leaf Juice, Sodium Lactate, Citric Acid, Butylparaben, Limonene, Linalool, Propylparaben, Ethylparaben, Isobutylparaben, Butylphenyl Methylpropional, Hexyl Cinnamal, Sodium Hydroxide, Alpha-Isomethyl Ionone, Citronellol, Potassium Sorbate, Sodium Sulfite, Sodium Benzoate.